Democratic candidate Pat Quinn returned to his role as a consumer advocate Wednesday, criticizing Senate President James “Pate” Philip for looking into the voter histories of students applying for legislative scholarships through Philip’s office. Quinn, the Democratic candidate for lieutenant governor, sent letters to Attorney General Jim Ryan and DuPage County State’s Attorney Joe Birkett, asking them to issue an injunction against Philip and the DuPage County Election Commission. Birkett is also the Republican candidate for Illinois attorney general, while Ryan is running for governor against Quinn’s running mate, Rod Blagojevich. “[Birkett and Ryan] need to inform all those relevant parties of what the constitution and the law is all about,” Quinn said in a news conference at the State of Illinois Center. Quinn said Philip, R-Woodale, who is also chairman of the DuPage County Republican Party, routinely faxes the DuPage County Election Commission to request applicant voting records without filling out the required forms. He passed out copies of faxes between Philip’s office and the commission, which list the primary voting records of scholarship applicants and their parents. 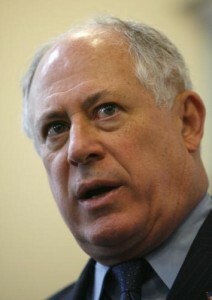 Because the scholarships are funded with taxpayer money, Quinn said voting records cannot be used in awarding them. Calls placed to Philip were not returned Wednesday. The Illinois General Assembly scholarships were established in 1905. The program allows each state legislator to award two four-year scholarships annually, one to the University of Illinois and one to any other state-sponsored university. Many legislators divide those scholarships into one-year or one-semester awards. When asked about Quinn’s announcement Wednesday morning, Jim Ryan said he did not have enough information to fully comment.